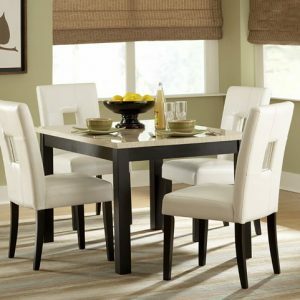 The sophisticated appeal of this modern set will upgrade your average family dinner to a fabulous fine dining experience. 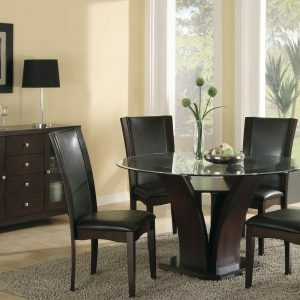 Coated in a high gloss lacquer finish, the easily expandable table sits atop a two-tone base accented with chrome trim accents. 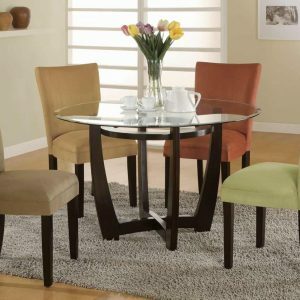 Matching padded leatherette chairs flaunt a smooth Z-shaped modern base.